Not long after dropping the Doogee Mix, a device which seem like a clone to the Xiaomi Mix, the Chinese smartphone company is trying something in the rugged smartphone department and the Doogee S60 is what we got. 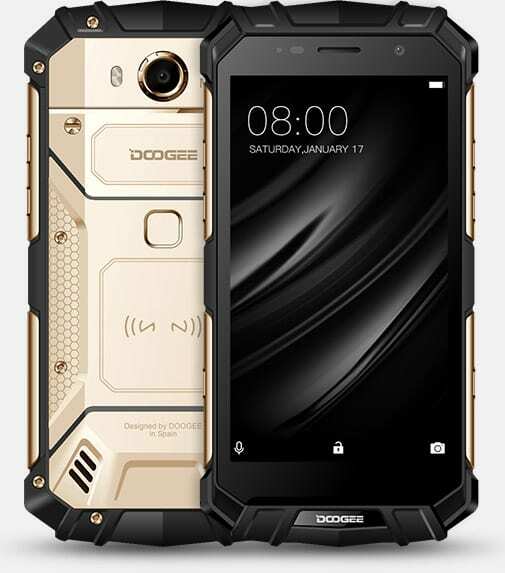 It is worth noting that the Doogee S60 isn’t the pioneering rugged device from Doogee but the Doogee T5 is. However, the S60 shows massive improvements in the company gadget-making prowess. Being a rugged smartphone, and has past rugged devices have displayed, the appearance, body build and design of the Doogee S60 shows nothing but rigidity. The device is body is covered in a metal-plastic combination and the IP68 certificate confers it with waterproof and dustproof capabilities. Likewise, the 5.2-inch Full HD display enjoys adequate protection against dust and shattering; thanks to the latest Corning Gorilla Glass 5 protection. The display quality of the screen is pretty impressive as it boasts of a 1080 x 1920 pixels resolution and just for mentioning sake, the device supports two SIM cards (Micro SIMs). Normally, and as history as had it, majority of rugged smartphone usually just pack a rock-solid design & and do poorly in terms of software, running processes and executing operations. The Doogee S60 is however an exception. The device carries a MediaTek Helio P25 chipset and runs on an Octa-core processor with a clock-speed of 2.5 GHz. A processor this fast is the last thing one would expect from a rugged device. Furthermore, the S60 runs on the Android v7.0 Nougat operating system, packs a massive 6 GB of RAM on-board and 64 GB of internal storage which can be expanded to 128 GB via micro SD card. That is somewhat unexpected too. The Doogee S60 comes with a single 21 megapixels camera on the rear and is flanked to the right by two LED flash. At the front, a single LED-less 8 megapixels lens is embedded for selfie and other purposes. Below the rear camera, almost at the middle of the device, is a fingerprint sensor for phone unlock and other useful dedicated and assigned uses. With the above stated features, it would only be logical to have enough battery power to enjoy them to the fullest. If you ask me, I would say a 5,580 mAh battery is enough power. The battery is a non-removable Lithium Polymer battery and the Quick charge features give enough battery charge in little time. There is one more thing. The Doogee S60 supports wireless charging. This makes it the first rugged device to support such feature.